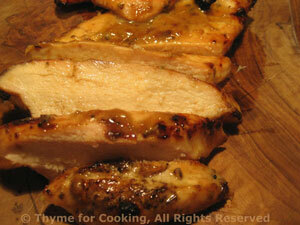 Dinner tonight: Grilled Aioli Chicken. 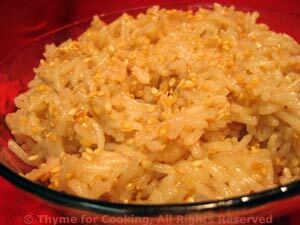 Garlicky Chicken Aioli, with just the hint of the Orient, pairs well with Sesame Basmati. 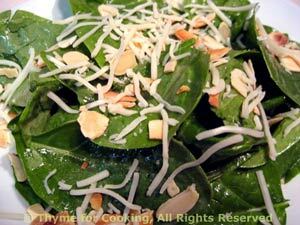 A simple salad of Spinach and Almonds rounds out this summer dinner.